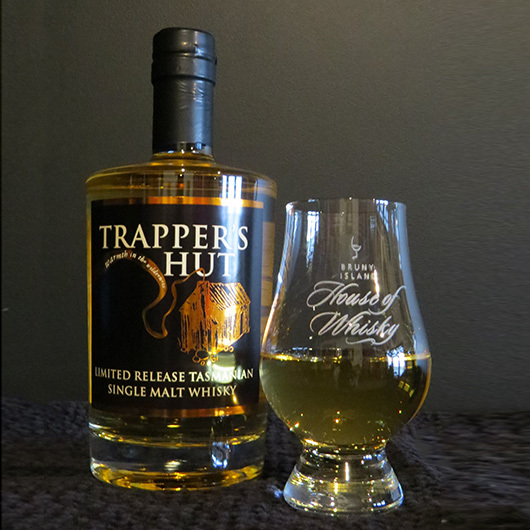 Trapper’s Hut is a single cask, single malt Tasmanian whisky made from the purest of ingredients. Trapper’s Hut is whisky of outstanding quality. Each Trapper’s Hut barrel is released in its own time, cultivating a delicate uniqueness individual to each limited small batch release. Tasmania has gained worldwide recognition for the superior quality of its single malt whiskies. The purity of the water and quality of the Tasmanian developed and grown Franklin barley teamed with the most passionate distillers, combine to produce whisky worthy of being held in the world’s best. Limited Release American Oak Cask 280 Bottle Release. Nose: Delicate floral notes with a hint of vanilla to the nose, rolls beautifully across the palate. Palate: Soft warming and well balanced.